The Pan-Cancer Atlas gives us an overview of the oncogenic processes contributing to human cancer. It reveals how germline genetic variants and somatic mutations affect cancer progression. It also explores the influence of mutation on cell signaling and immune cell composition. This provides insights into the development of new treatments and immunotherapy. 1. Molecular similarity: Indicated that the cell of origin influences but does not fully determine tumor classification. Companion works reveal new insights into subgrouping of cancers and reveal stem-cell-like features associated with oncogenic dedifferentiation. 2. Germline and somatic mutations: It explores how mutations collaborate in cancer progression and explore the influence of mutation on cell signaling and immune cell composition. This could lead to the development of new treatments and immunotherapies. 3. Tumor signaling pathways: In analyzing tumor signaling pathways, the Pan-Cancer Atlas revealed patterns of vulnerabilities that will aid in the development of personalized treatments and new combination therapies. 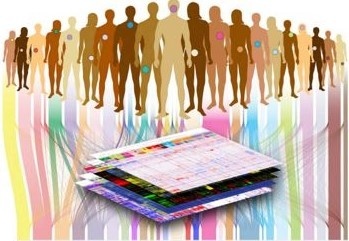 As a new, singular point of reference, the Pan-Cancer Atlas will become an essential resource for the development of new treatments in the pursuit of precision medicine. For those interested, there is a Pan-Cancer Webinar on May 22, 2018,/ at 1 PM ET. The URL for registering is https://www.workcast.com/register?cpak=7611522012799566&referrer=PanCanPortal.